Pacific Coast Design has created many great golf courses in Australia and throughout Asia. We take great pride in working together with our clients to maximise the potential of the chosen site within the given budget. 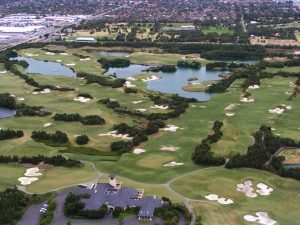 No matter if you’re located in Adelaide, Brisbane, Melbourne, Perth or Sydney, our experienced golf course designers can help. A great golf course is created by recognising the site environment and laying out the course in balance with the natural terrain wherever possible. A strategic design is preferred by our designers. This style is often enhanced by multiple teeing systems to allow a full range of golfers to enjoy playing while still providing for individual challenge. 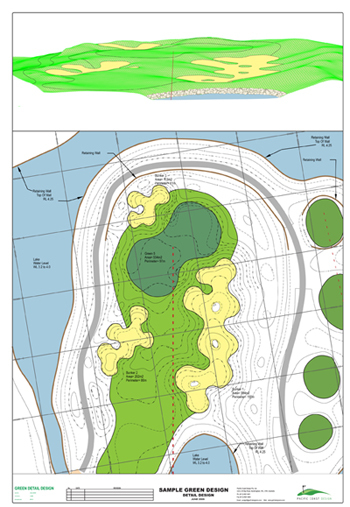 Environmental protection of the site, water harvesting and construction of a golf course that is structurally sound is of the utmost importance to our golf course designers. Presentation of the golf course and reasonable maintenance budgets are a result of a properly designed and built golf course. Pacific Coast Design follow through the design process with construction consulting visits to ensure the integrity of the design and to maintain the standards of feature construction. We assist the Client through construction to opening and beyond with marketing and operational consulting advice. PCD are one the leading golf design companies in Australia, providing services to clients all across Melbourne, Adelaide, Sydney, Perth and Brisbane. Whatever style you’re looking for our designers will be able to create the ideal golf course for your site. If you have any questions about our design process or any of our previous projects, please don’t hesitate to get in touch by calling us directly on +61 3 9521 6411 or by emailing pcdgolf@golf-designers.com.